As organizations expand to other countries and participate in the global market, it becomes more important for employers to know and be trained in employment laws and regulations of the local areas where they operate. Every locality has its own labor requirements and standards, which may differ widely from the US norm. However, even where employment laws are similar, how they are interpreted will be influenced by the culture in which the local business operates. This was the message shared by many speakers at the recent Association of Corporate Counsel, Annual Meeting in Washington DC. 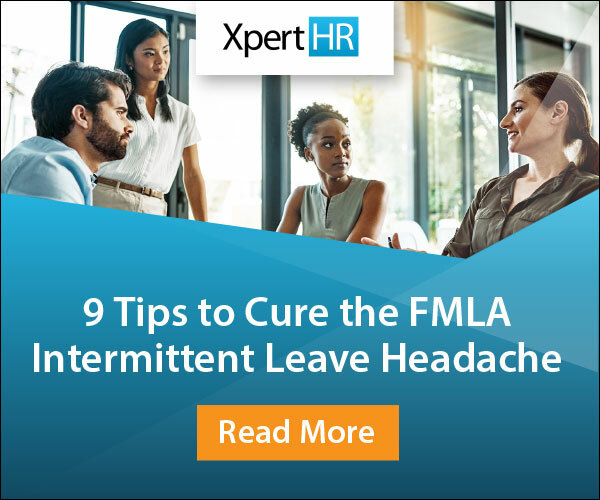 Several educational sessions were devoted to providing guidance and strategies to in-house counsel who operate across multiple borders on issues ranging from family leave to layoffs to workplace investigations. The challenges and solutions discussed in these sessions will also help HR professionals operating on a global level. One of the first differences that a US HR manager might notice when operating globally is that family leave entitlements are much more prevalent in other countries. The US has no federal paid family leave law, and only a few states have enacted such requirements. Private companies are free to offer paid time off benefits for the birth, adoption or care of a child, and some have chosen to do so even when it is not mandated by law. However, this is generally the exception rather than the rule. In other countries, family leave benefits are much more generous, noted Monica Torrez-Pfister, senior corporate counsel at TrueBlue, Inc. Many countries provide employees with lengthy leave allowances (paid and unpaid) and a guaranteed return to work. Estonia tops the list by mandating up to 87 weeks of paid family leave. Another area that differs in non-US workplaces is the confidentiality of the investigation. “In the US, you can’t require [confidentiality]; outside the US you can,” said Chapman. Furthermore, protections against retaliation for an employee who files a complaint may not exist in some countries, and extending that protection may create a new contractual right. 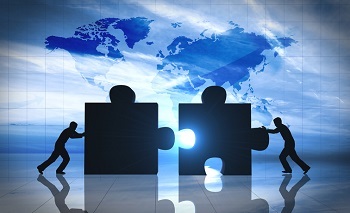 After an acquisition, an employer may need to reduce staff and insert a new management team. This can be a delicate proposition for a global employer, not only because of the many differences in labor laws and practices, but also since it can be difficult to maintain morale and develop a team while avoiding cultural landmines. Another hurdle for conducting layoffs and hiring new management is the different labor environment. In the US, much of the workforce is employed at will. However, in other nations, especially European countries, employers must work with local labor councils and unions. Ryan Brown, corporate counsel for Rosetta Stone Ltd., advised that local HR is a company’s best friend in an international RIF since they are better suited to address the cultural and legal issues. “Knowing how to communicate the message in the culture makes it much easier to accomplish your purpose,” said Brown. Natalie Pierce, a partner at Littler Mendelson P.C., reminded attendees that, “It’s scary to get acquired by a large global corporation” and to expect resistance to change. Employees may view change as threatening and mistrust the company, Pierce said, so companies need to work with the local business unit to align local culture to the company values. By keeping these issues in mind, employers can help teams of multinational employees improve understanding and communication to work together better. For example, getting the formalities right – knowing how to address people – shows respect, as does remembering and recognizing different holidays and time zones when planning meetings and events. Structure. Where are the employees on the team located? Where is the “power” in the team? How are decisions made? Is the organization mainly focused on the country with the most employees? It’s important to make sure everyone has input. Process. Make sure an employer’s processes allow for differing work styles. For example, some cultures and employees have strict views on time, while others need timing to be informal. An employer can help create empathy by taking these differences into account when creating meeting agendas. Language (fluency). Most multinational companies use a “lingua franca” when conducting business, but this can disadvantage non-native speakers. Employers should make sure that participants speak slower to allow non-native speakers time to understand, interject and contribute. Providing a non-native speaker advance notice that they will be asked to present will allow them time to prepare and be more confident. Identity. Everyone sees things through the lens of their own identities and culture. Employers should encourage team members to consider the perspective of other employees. Technology. Be aware that various cultures adapt to technology differently. Some have a “wait-and-see” attitude, while others are eager to have the “latest and greatest.” Companies should determine what approach to technology will best achieve their purposes. Compliance is an issue that comes up all over the world, and organizations need to have a plan to help their multicultural teams deal with it, says Weber. But employers can take steps to create a compliance culture and strong teams across borders by translating rules, adapting training to the local context and engaging local leaders.